This bug is particularly vexing, as all ASOs and app developers take meticulous care in selecting the order of their screenshots, in order of priority and to maximize performance in the search results page. 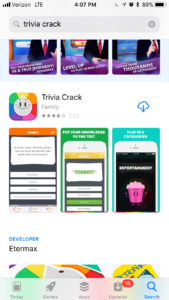 This bug occurs when you have a portrait mode preview video, and causes the screenshots 2 and 3 to show as #2 and #3 tiles in the search results page, instead of screenshots #1 and #2. 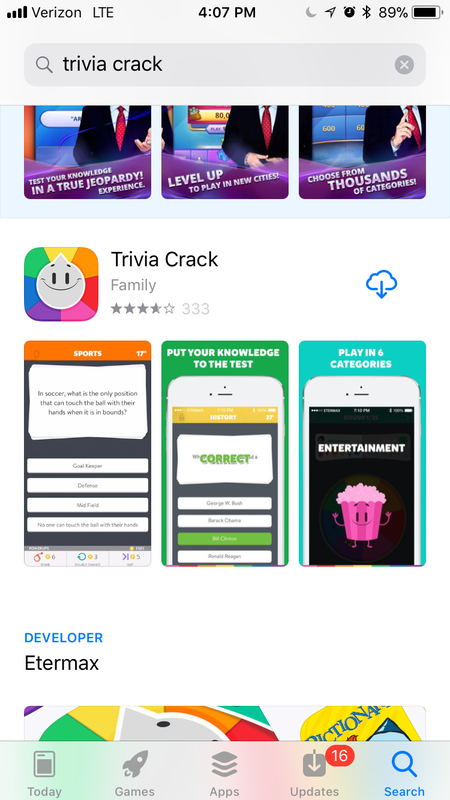 Below you can see Trivia Crack's screenshots 2 and 3 showing in the search results page next to the video, while screenshot 1 correctly shows in the product page view. One of our clients was the first to discover this unfortunate issue, which isn't technically a bug, but may as well be. 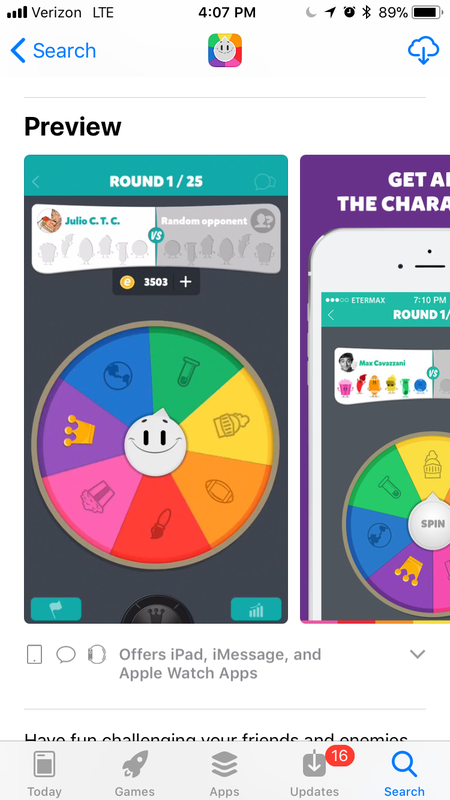 Reportedly, apps which submit a new version will be stuck with the ratings they had on 9/19. 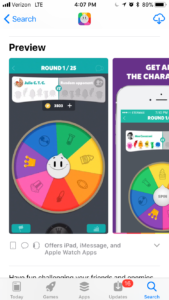 While older, 32-bit apps have been excluded from iOS 11 and are not eligible to benefit from this non-upgrade issue, any 64-bit apps which haven't been upgraded will keep their total ratings, earning an unfair advantage. 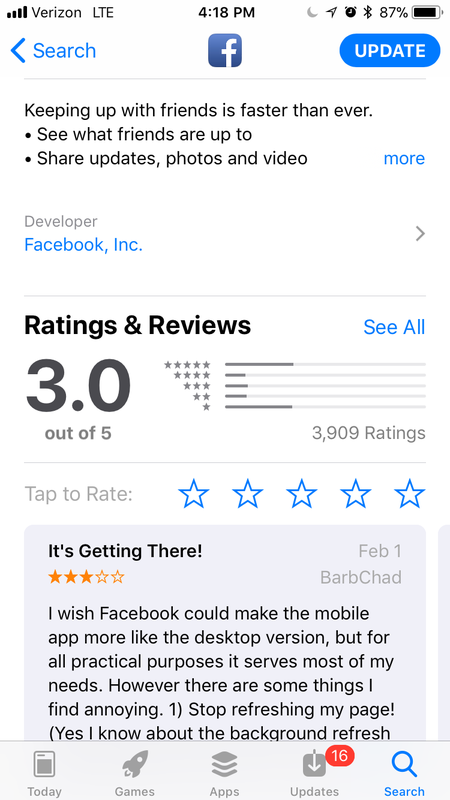 That said, this advantage will erode over time as new apps catch back up in total ratings, especially with the iOS 10.3 rating prompt, which is a ratings-producing machine. 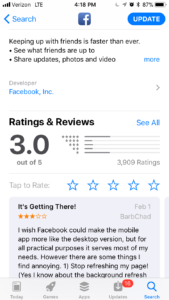 Even the mighty Facebook has now been set back to just under 4,000 ratings by this final reset and left with a 3.0 star rating. Be careful when upgrading your app, as any protection you had from a buildup of strong ratings is now gone, and a poor new version can have a huge, negative impact on your app's current performance. 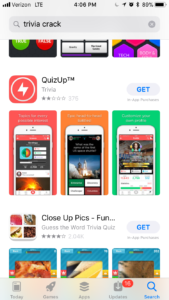 In this case, QuizUp (below) would be better off manually resetting their rating again (but beware that only ratings are reset; reviews cannot be reset). The Bottom Line: Be sure to cross your t's and dot your i's when submitting a new iOS version and keep your hand on the ratings reset button, just in case. 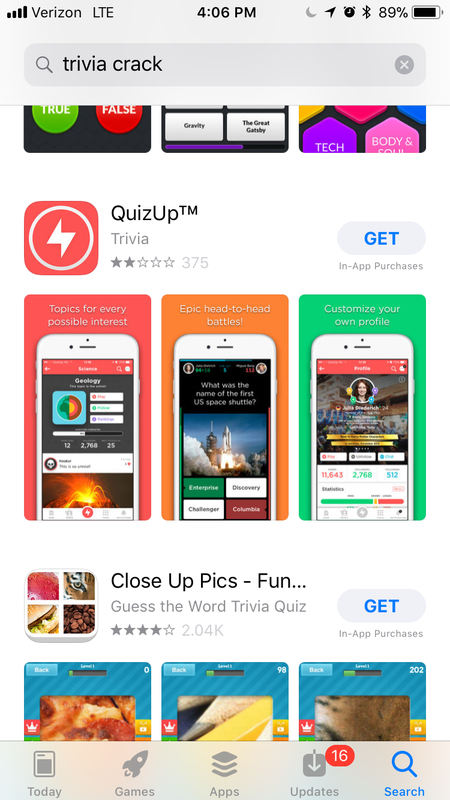 Also, if you have a portrait mode app listing and if most of your traffic comes from app store search, be sure to optimize your most important details into screenshot 2, followed by 3, until this bug is fixed.